Federal Liberal Party leader Justin Trudeau surrounded by supporters at an Edmonton rally on January 23, 2014. Twenty-one years ago, in a federal election that reshaped the Canadian political landscape, the Liberals swept Edmonton, electing Members of Parliament in four of the city’s six federal ridings. 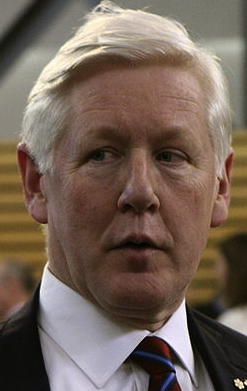 That year was a high-water mark for the federal party, which last elected an MP in Edmonton in 2004 and has not come close to electing a candidate since. For the next week, the federal Liberals will be holding their annual “Summer Caucus” in Edmonton and the party’s 37 Members of Parliament be criss-crossing the Canadian West, hosting events, promoting local candidates and knocking on doors. 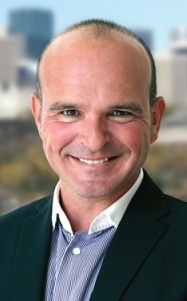 Perhaps not coincidentally, the federal Liberals nominated a handful of candidates in Edmonton ridings over the past week who will be on the receiving end of this help – Daniol Coles in Edmonton-Griesbach, Eleanor Olszewski in Edmonton-Strathcona, Sukhdev Aujla in Edmonton-Manning and Randy Boissonnault in Edmonton-Centre. Westmount-Ville Marie MP Marc Garneau will host a Pints & Politics event at Chop Steakhouse & Bar (17635 Stony Plain Rd NW) in west Edmonton at 8:00 p.m.
Liberal leader Justin Trudeau will speak to a rally of supporters in Louise McKinney Riverfront Park overlooking the North Saskatchewan River in Edmonton. The rally begins at 6:00 p.m.
Halifax-West MP Geoff Regan will be canvassing the Highlands neighbourhood with candidate Daniol Coles in the new Edmonton-Griesbach riding. Afterward, at 8:00 p.m., the Liberals will host a Pints & Politics night at Creole Envie (6509-112 Avenue). The Edmonton-Strathcona Liberals will host Toronto-Centre Liberal MP Chrystia Freeland, who will speak at an event at University of Alberta Faculty Club starting at 7:30 p.m. In Calgary, Kings-Hants MP Scott Brison will spend an evening door knocking with Calgary-Confederation candidate Matt Grant. Mr. Garneau and Kingston and the Islands MP Ted Hsu will host a free evening event at the Falconridge/Castleridge Community Association (95 Falshire Drive NE) in northeast Calgary starting at 6:00 p.m.
Later that evening in Calgary, Mr. Grant, Mr. Brison and St. Leonard – St. Michel MP Massimo Pacetti will host a pub night at Sam’s Bar & Grill (1167 Kensington Road NW) starting at 8:00 p.m.
Bourassa MP Emmanuel Dubourg and Edmonton-Centre candidate Randy Boissonnault will co-host a roundtable discussion with Edmonton’s Francophone community. Mr. Dubourg will speak at a fundraiser for the Edmonton-Centre Liberals at Normand’s Bistro (10177-99 Street) starting at 7:00 p.m.
Ms. Freeland, Mr. Dubourg, Mr. Regan will join Mr. Boissonnault and his campaign volunteers for an evening of door-to-door canvassing in Edmonton-Centre’s Queen Mary Park. The federal New Democratic Party caucus will also be holding their Summer Caucus in Edmonton in September 2014. This entry was posted in Alberta Politics and tagged Bourassa, Chrystia Freeland, Creole Envie, Daniol Coles, Edmonton Summer Caucus, Edmonton-Centre, Edmonton-Griesbach, Edmonton-Manning, Edmonton-Mill Woods, Edmonton-Strathcona, Eleanor Olszewski, Emmanuel Dubourg, Francophone Roundtable, Geoff Regan, Justin Trudeau, Kings-Hants, Kingston and the Islands, Marc Garneau, Massimo Pacetti, Queen Mary Park, Randy Boissonnault, Scott Brison, St. Leonard - St. Michel, Sukhdev Aujla, Summer Caucus, Ted Hsu, Toronto-Centre, Westmount-Ville Marie on August 18, 2014 by Dave Cournoyer. ndp and liberals searching for a pulse on the prairies. You can be forgiven if you missed it. Hundreds of Liberals from across Alberta gathered in Edmonton last weekend for the biennial meeting of the Liberal Party of Canada in Alberta. Speakers and guests at the weekend conference included interim Liberal leader Bob Rae, Scarborough-Agincourt MP Jim Karygiannis, and Senators Grant Mitchell, Art Eggleton, and James Cowan. One of the main guest speakers was Donna Clare, the Edmonton-based architect who designed the new Royal Alberta Museum. Electing only two MPs in the three prairie provinces, the west was a wasteland for the federal Liberal Party in the 2011 election. Only in Manitoba, where the party earned 16% of the vote did they place above 10% (they earned 9% in Alberta and 8% in Saskatchewan). While the west has not been a bastion of Liberal support for at least two generations, this level of support is far below the average support earned over the 1990s and 2000s. The decline in support can also be seen at the provincial level. With 5 MLAs and 10% support in this year’s provincial election, the Alberta Liberals are the strongest of any prairie Liberal Parties. In the November 2011 election, the Saskatchewan Liberals failed to elect any MLAs for the third election in a row and only earned 0.5% of the popular vote. In Manitoba’s election, held in October 2011, the Liberals fell from 2 MLAs to 1 MLA and earned only 7% of the province-wide vote. Leadership was undoubtably a topic of discussion over the weekend conference. Next year, the federal Liberal Party will be choosing its seventh leader in ten years. Interim-leader Mr. Rae, who entered the role after Michael Ignatieff‘s resignation in 2011 election, recently announced that he decided to stand by his previous commitment not to seek the permanent leadership. 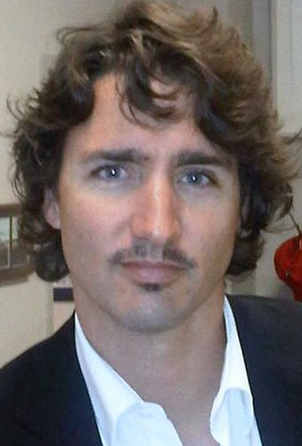 The rate at which Justin Trudeau is being touted as a leadership contender makes his candidacy feel almost inevitable. Long-shot candidate George Takach was in attendance at the weekend convention and constitutional expert Deborah Coyne entered the race today. Liberals activists I have spoken with over the past few days have named New Brunswick MP Dominic Leblanc, Quebec MP Marc Garneau, former Quebec MP Martin Cauchon, and past Ontario candidate David Bertschi all as possible candidates for the Liberal Party leadership. A little further to the east, supporters of the provincial NDP gathered in Saskatchewan for their annual conference and passed a resolution calling for a strategy to grow their party in the three prairie provinces. The conference included speeches from federal NDP leader Thomas Mulcair, who has not endeared himself to some Conservative leaders in the prairie provinces. 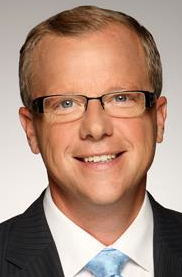 The popularity of conservative Saskatchewan Party Premier Brad Wall led to the provincial NDP being nearly wiped off the electoral map during last year’s Saskatchewan election. Currently without a permanent leader, the Saskachewan NDP have scheduled a leadership vote to be held in March 2013. The decline of NDP support in Saskatchewan is not limited to the provincial level. Once a stronghold for prairie social democrats, federal NDP support in Saskatchewan took a sharp decline in the 1990s and the party no longer has any MPs from that province represented in Ottawa. Over time, support for the NDP has shifted away from rural areas and to the cities. This concentrated urban support has not helped the NDP in Saskatchewan, where urban federal ridings were redrawn to include large rural areas outside the cities, where the Conservatives hold strong support. Despite leading his party to huge gains across the country, I am sure that former leader Jack Layton‘s address in central Toronto did not help grow his party’s support in rural Saskatchewan. It will be interesting to see whether the NDP under Mr. Mulcair, another big city politician, will be able to regain a toe-hold in Saskatchewan in the next election. Across the prairies, the NDP remains strong only in Manitoba, where dominance over the northern regions and the city of Winnipeg ensures the continued election of NDP majority governments in that province. In Alberta, NDP support has long been limited to a handful of constituencies in Edmonton, where the party has 4 MLAs. Federally, the NDP placed well in a few Edmonton ridings, and Edmonton-Strathcona MP Linda Duncanwas re-elected in 2011. A creed known as the Lethbridge Declaration is gaining attention in some NDP circles by those who recognize the need to reconnect with voters in the prairie provinces. It is not completely clear how they will accomplish this, but looking to the declaration’s name-sake gives long-toiling social democrats a glimpse of hope in the Conservative Party’s prairie stronghold. The NDP experienced significant growth in support in Lethbridge in the recent federal and provincial elections. It may seem like the most unlikeliest of places, but federal candidate Mark Sandilands earned 27% of the vote, nearly doubling his vote from the 2008 election (the Conservative vote dropped 10% from 2008). 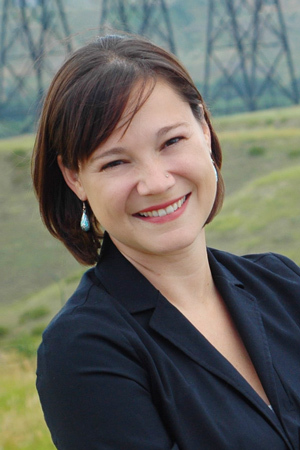 In the recent provincial election, Shannon Phillips tripled her party’s support in Lethbridge-West, coming within 7% of defeating incumbent Progressive Conservative MLA Greg Weadick. This entry was posted in Alberta Politics and tagged Art Eggleton, Bob Rae, Brad Wall, David Bertschi, Deborah Coyne, Dominic Leblanc, Donna Clare, George Takach, Grant Mithcell, Greg Weadick, James Cowan, Jim Karygiannis, Justin Trudeau, Marc Garneau, Mark Sandilands, Martin Cauchon, Michael Ignatieff, Shannnon Phillips on June 29, 2012 by Dave Cournoyer.